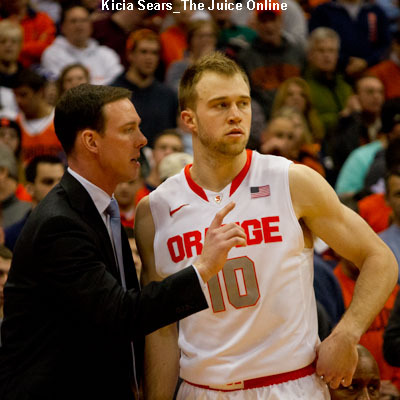 HomeBasketballIs Syracuse basketball’s recent win streak real or a mirage? 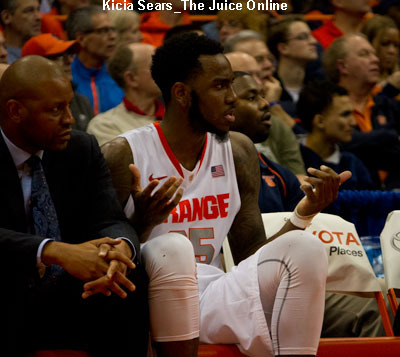 Is Syracuse basketball’s recent win streak real or a mirage? A record of 13-4 in most sports is pretty darn good. But not in college basketball. Here it’s all about who you’ve beaten and where you stand in your conference. Which brings me to Syracuse and its 13-4 record. What exactly does it mean? Honestly, I have no idea. So I’ll look at this squad from a few angles to hopefully get a better idea. But hey, I can’t predict the play of college kids. Let’s start here: SU has a 4-0 record in conference play. But three of those wins were dangerously fought battles. And the Orange has yet to play any of the ACC’s top teams. We’ll have a better idea of where this team stands after it plays the likes of Duke, UNC, UVA and Louisville. Now let’s look at the four losses. Of those four losses, Cuse only truly got outplayed in one of them, against Cal. Still, losses to Michigan, St. John’s and Villanova were games the Orange would have won in previous seasons. You have to wonder whether the Orange’s current 7-game winning streak is legitimate or a mirage. Is this a team that will continue to improve? Or is it a team that will eke out close wins against so-so opponents until it no longer can, and will then be blown out by a good team? (Hello FSU in the Rose Bowl). 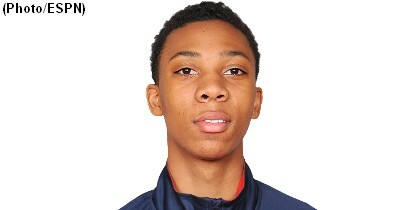 Freshman Chris McCullough is out for the year, thinning the rotation of a team that has already, as we know, struggled more than any other Cuse team of the previous six seasons. The saving grace of this team may be the duo of Rakeem Christmas and Trevor Cooney. While I never would have guessed that before this season, the lack of proven go-to guys has thrust these two into scorers keeping SU in games. Christmas is a guy I trust in the paint, while my confidence on Cooney’s ability to knock down the three is growing. Because expectations for this year’s team are lower than usual, the pressure is not there. Cuse can just go out and try to win because if it does, that’s a bonus, and if it struggles, that’s the expectation. My best bet is that this team will continue to play tight games, winning some while losing others. It will be a struggle to make the NCAA Tournament. That’s not hard to see. If SU does make it, I wouldn’t expect a surprise run to the Final Four a la 2013. But this team is gritty. I wouldn’t count the Orange out. A 13-4 record with this squad isn’t too bad. There are fewer NBA prospects than previous teams. Just a bunch of guys who have a chance for a solid college career. It’ll be up to them to uphold that standard. And if they don’t, well, there’s a pretty good recruiting class coming in.